Many ask where they should park when visiting a location in Historic Downtown DeLand. Almost all parking is FREE! 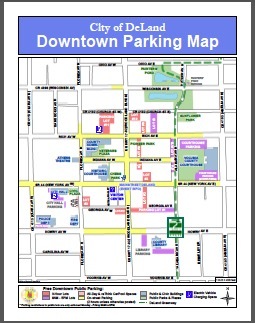 This map shows all of the parking areas of all types in the downtown DeLand area.